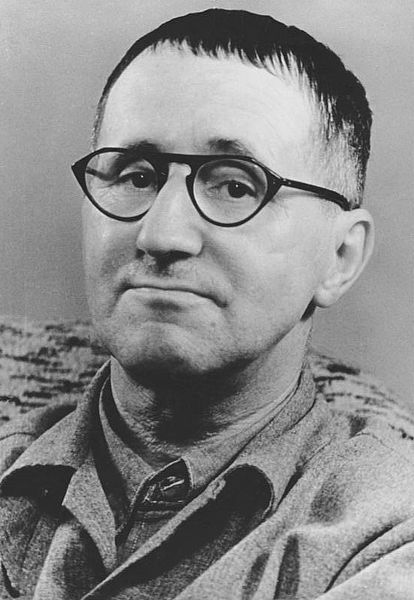 Bertold Brecht | Sprechen Sie Deutsch? In the light of recent global events I thought it quite succinct given that this was written 85 years ago. The gist (bankers are criminals) remains in all three versions but what is unexplored in the English versions is that both bankers and bank robbers are considered “professionals” involved in a venture (“Unternehmung”). The German version doesn’t mention anything about the apparent ease. The unstated implication focuses instead more on the larger return gathered from those two ventures. Bank clerk? What bank clerk? It is clear that if you really want to expand your horizon and learn about a country’s culture it is imperative to become familiar with its language. All too often nuances are lost in translation, never mind the fact the some works simply have never been translated. Poetry still remains virtually untranslatable and one of these days I will need to pen a blog post about the subtleties in Rammstein lyrics. For now though I’d encourage you to try and explore as much of German literary texts and quotes as you can given your current language skills. And if you’re sitting on the fence with taking up lessons, what’s holding you back? A whole new world is waiting to be discovered by you.